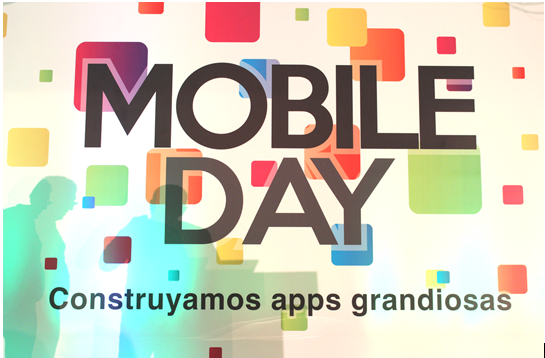 Mexico, Mexico City – March 19, 2015 – Four Js Development Tools Latin America has sponsored this year, along with Intel, Twitter and Appery.IO, Mexico’s largest mobile developer conference – baptised ‘Mobile Day’. The conference is staged by leading software developer focused SD Guru Magazine with a view to promoting the Mexican mobile app marketplace. This year’s theme was ‘Let’s Build Great Apps’. Keen to please, Four Js’ local team responded in force to do just that! Attendance grows each year at this high-profile event and 2015 was no exception. Over 300 of the nation’s leading insiders, developers and pundits subscribed to 14 specialist tracks covering topics as diverse as testing, monitoring, responsive patterns, hybrid vs native, the Internet of Things and rapid cross-platform app development. 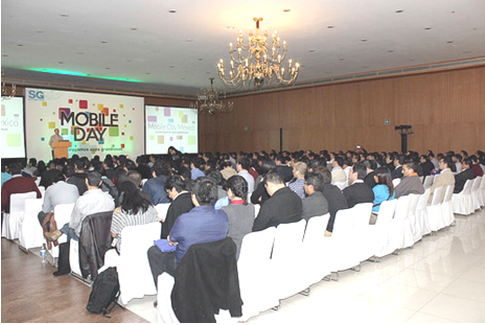 Delegates listened to the latest mobile trends during plenary sessions delivered by Mexico’s leading industry luminaries. 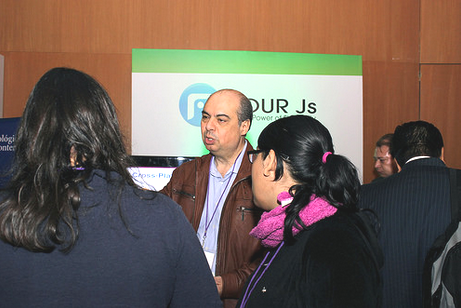 Four Js’ own session was largely over subscribed – 80 people crammed into a room set for 50. Undeterred by the somewhat ambient warmth, the audience lapped up every minute of the live demo session – which produced an app from thin air in just a matter of minutes. Many questions during the Q&A session centered on the ease with which apps developed on iOS can run indifferently on Android. A copy of the Four Js presentation can be downloaded here.